We set out in 2013 to redefine corporate travel. Executive Portfolio, formerly Business Trip Rentals, offers an unprecedented level of service that is tailored to the discerning business traveler attending congresses and events in Cannes. Executive Portfolio is brought to you by A.M.A Selections, a leading luxury vacation rental company in France and Italy. Our mission is to enhance the experience of corporate accommodation with a curated portfolio of the finest properties supported by superior customer service. We are first and foremost a hospitality company and provide 24 hour customer response in order to meet the needs of our clients promptly. Each home is selected based on their location, design and comfort. We know what’s important when you’re traveling for business – a friendly face to meet you, pristine towels and linens, quality customer support, and location. 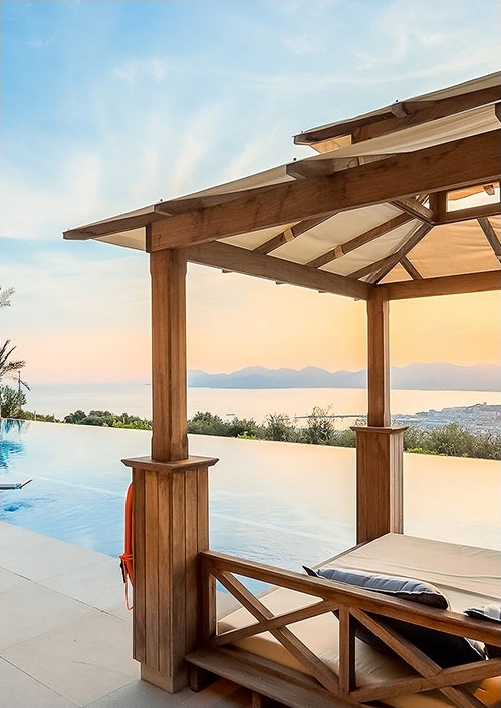 Our curated portfolio includes up to 100 properties in the Cannes area with the majority of these homes being less than a 15 minute walk to the congress center. Moreover, we offer services that allow our guests to get all of the advantages of a hotel in the comfort of a private home. Whether our clients need airport transfers, additional housekeeping or a private chef, we can arrange services that cater to a variety of requests.